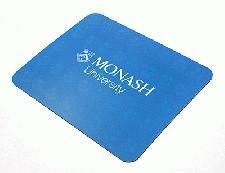 Keep your business details and company logo promoted at all times on our Mouse Mats Freebies from C L Promotions. Simply choose how many you require and we'll see that they get printed with your personal details and company logo. Then all your friends and customers will have your advert on their Mouse Mats Freebies. To find out more about our Mouse Mats Freebies click here and fill in the contact form and we'll be in touch. Other promotional and personalised items besides our Mouse Mats Freebies click here to view our entire range.